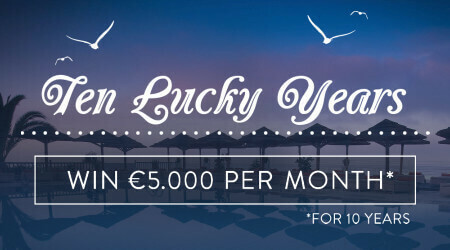 Win the top prize on this scratchcard and you’ll be able to relax and enjoy the good life with €5,000 every month for the next TEN YEARS! Match 3 symbols to win one of the prizes displayed on the paytable! Return to player rated at 53.7%.